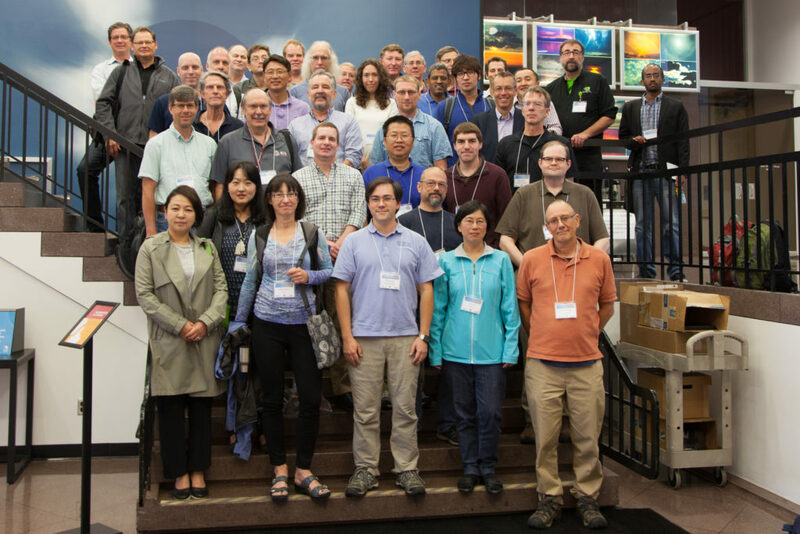 September 28, 2016 – Nearly 35 scientists and researchers from various countries and government agencies met in Boulder on September 13 and 14 for the 2016 MultiCore 6 Workshop. In addition to a number of talks from invited speakers, the event featured rich dialogue and discussions between participants. Hosted by NCAR’s Computational and Information Systems Lab, this was the sixth yearly workshop on this topic. The leading purpose of these workshops is to provide a forum for discussing and understanding the best ways to apply new high-performance computing technologies for the next generation of weather, climate, and Earth System models. These workshops are needed because modern high performance computers have diverse heterogeneous architectures and use fine-grained parallel processing methods that present various challenges to the researchers who run these models. This year’s workshop focused on creating a community of developers who can work together to create software standards and exchange ideas on code parallelization, scalability, and optimization. According to Ilene Carpenter, a workshop coordinator, the number of participants was capped at 35. The intent of limiting the participants was to facilitate smaller and more intimate discussions where participants were encouraged to “share what works and what doesn’t.” The workshop accepted returning participants, as well as new participants who could bring new ideas and perspectives to the discussions. The workshop was designed to help participants implement the tools and methods discussed into their research on both short-term and long-term timescales. By participating in the workshop, researchers gained a better awareness of the community’s efforts to advance their research through high-performance computing, as well as the current issues facing the modeling community.